It seems almost criminal to be listening to a record as summery as ‘Engineers’ on a day when the snow is building upon the windowsill outside. Everything about the album evokes dreamy days, lying in tall grass and looking up at blue, cloudless skies. An incredibly warm and organic sounding debut, the songs all belie the band name of Engineers, who, thankfully, never feel manufactured or contrived. ‘Home’ opens the trip and really feels like a return to a safe place; free from the stresses and strains of cold, post-modern life. It might as well come with a Welcome_ Mat to wipe your feet on, it’s that inviting. The lush sound intimates thoughts of a wide-eyed Sigur Ros on their school holidays, though there's no proggy indulgence or long passages of soulless noise. Every second of the record is lovingly filled with swirling pianos, rich beats and overlapping mantras of softly spoken verse. In truth, the sunny vocals often drift into the background, but if the voice is nothing more than another instrument, here it perfectly complements the lavish sounds created. ‘New Horizons’ builds and builds upon criss-crossing vocals and typifies Engineers’ confident stamp on the record, sounding like **Goldrush if they had a slightly better dealer. ‘Forgiveness’ would melt the heart of even the most cynical of sods, with strings and guitars battling for space in hearts and minds (and ears). “I’m dropping out of time, going where the wind blows” begins ‘Let’s Just See’ and typifies the otherworldly feel which is kept from floating into the sunset by barbed drum patterns and pointed lashings of guitar. “Let’s just see how far we can go” they sing and the answer seems to be wherever imagination will allow. 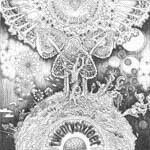 Songs build with layer upon layer of gorgeous textures like a sweet but never sickly knickerbocker glory of aural bliss. It’s perfect for those who enjoy the production of artists like Bjork but without the wailing spoiling proceedings like a kid who’s spilt their lolly. 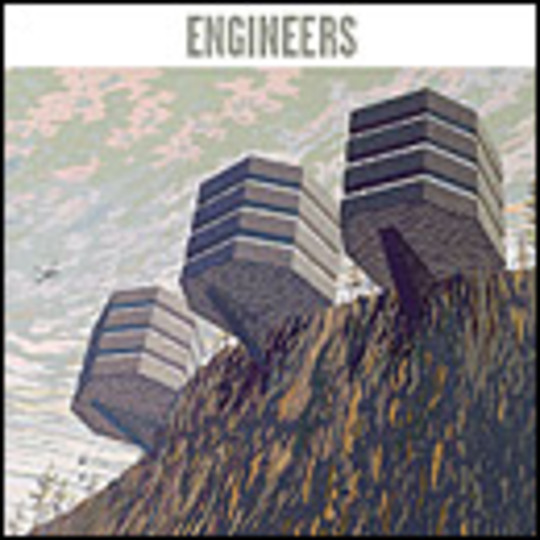 There’ll be no tears on purchasing ‘Engineers’, and there is a childlike fuzziness created by this most playful of records. _‘Come in Out of the Rain’ they beam and it’s hard to resist hibernating in the record until the summer comes around again. Hot stuff coming through! Moves Under Skin / You’re Too Cold 7"